From time to time the history of medicine replenishes with the discoveries, fundamentally changing the approaches to the treatment of one or another illness. They include the revelation of pathogens of infectious diseases, blood groups and rhesus-factor, the first successful vaccination, the invention of insulin, penicillin and B12. Though all of them belong to the different fields of health care, they have one thing in common, allowing solving some serious, usually socially significant problem, which was difficult to handle earlier. 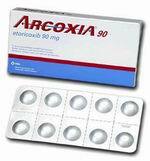 Etoricoxib (arcoxia) is the latest representative of the group of antiprostaglandin (non-steroid anti-inflammatory) medicines. It has the anti- inflammatory and analgesic effects. It is recommended for acute and chronic joint pain, rheumatoid arthritis, ankylosing spondylitis, acute podagric arthritis. 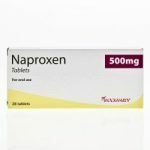 In has been on the international market for more than 7 years; it is one of the most studied non-steroid anti-inflammatory medicines. 67 clinical studies of Etoricoxib involving more than 45 000 of patients were carried out all over the world. The studies of efficiency of this medicine in migraines, oncological pains and back pains are continuing. power of anesthetic effect: recommended minimum dose (60 mg) corresponds to the maximum one- 150 mg- Diclofenac Sodium. Etoricoxib (60 mg, 90 mg and 120 mg capsules, 7 capsules in blister) has a minimal amount of side effects and has a minimal effect stomach and mucosal lining (doesn’t irritate the mucus membrane), minimizing the risk of sickness, diarrhea and flatulence. Main recommendation for the use of Etoricoxib. The appointments must be realized taking into account the individual risks for the patient. The drug must be prescribed in minimum effective dose and short course. 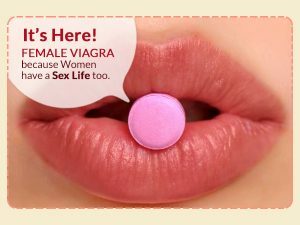 So, Etoricoxib is a powerful and fast analgesic with the pronounced anti- inflammatory properties, which is characterized with the long- lasting action. This medicine can be successfully used for the relieving of acute pain, caused by different reasons. 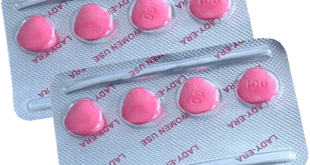 The comfortable scheme of using Etoricoxib- once a day, must undoubtedly draw the attention of medical practitioners and patients to this drug. Etoricoxib has a more favorable security profile compared to some other traditional NSAID in the development of gastrointestinal tract pathologies and determines the opportunities of its use with the corresponding risk factors and expands the possibilities of its use.